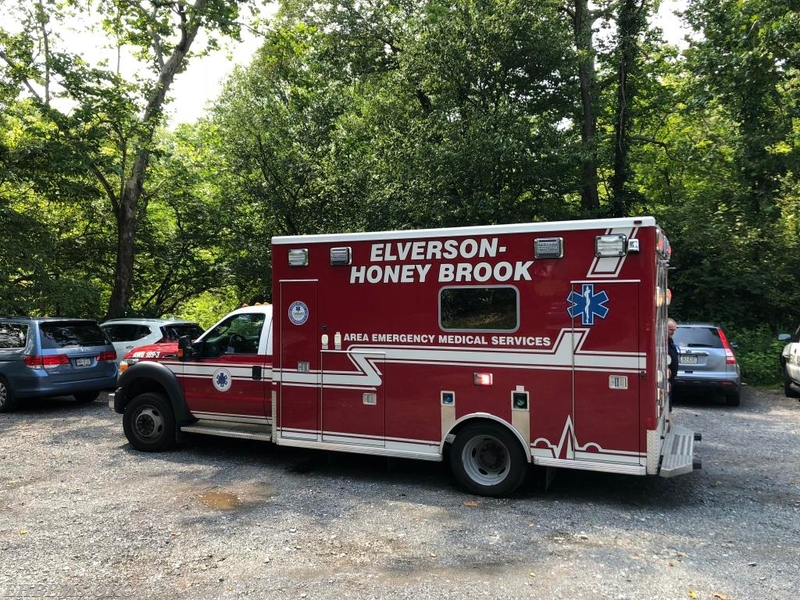 13:17hrs - Ambulance 89 along with Brandywine Hospital paramedic 193 & Twin Valley Fire Department for the ATV was dispatched to Saint Peters Village for a subject experiencing a medical emergency on the rocks by the swimming hole. Ambulance 89 along with paramedic 193 entered the woods at 13:31hrs to find the subject. Utility 69 arrived with the ATV driving back into the woods to meet the medical crew. 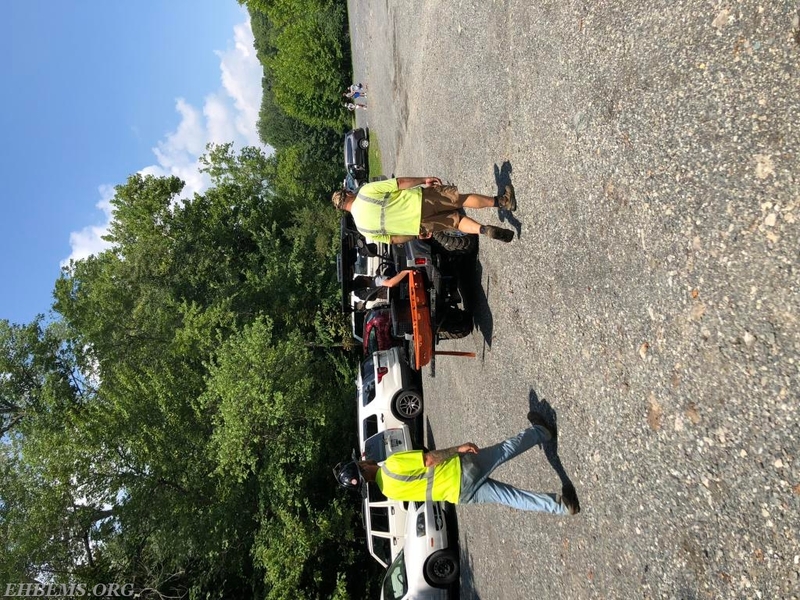 The subject was placed into a stokes basket and carried from his location over the rocks to the trail, secured to the ATV unit and removed from the woods. The subject was taken to a local hospital for treatment. Due to the difficult terrain the rescue & removal of the subject took crews approximately 48 minutes. EHBEMS urges citizens to please remain off the rocks and out of the water at Saint Peters Village. It is extremely challenging for crews to gain access and remove you in the event of an emergency.